Nearly 10 percent of some 2,000 species of European wild bees face extinction, says a recent study, adding that the drivers behind such a mass disappearance of nature’s top pollinators include the use of insecticides, fertilizers, and climate change. “Overall, 9.2 percent of bees are considered threatened in Europe, while at the EU-27 level, 9.1 percent are threatened with extinction,” says a new report published as a part of the IUCN (International Union for Conservation of Nature) European Red List of Bees project. The study, co-funded by the European Commission, gives information about 1,965 wild bee species in Europe, including their status, distribution and the dangers they face. The main threats to bee survival are connected with modern agriculture, says the report, adding that these hazards include intensive arable farming, livestock farming and the continued presence of commercial timber plantations. Climate change may also contribute to mass bee extinction. Bees “are threatened with extinction in Europe mainly due to habitat loss as a result of agriculture intensification (e.g., changes in agricultural practices including the use of pesticides and fertilizers), urban development, increased frequency of fires and climate change,” says the study. “Our quality of life – and our future – depends on the many services that nature provides for free. Pollination is one of these services, so it is very worrying to learn that some of our top pollinators [bees] are at risk!” said Karmenu Vella, European Commissioner for Environment, Maritime Affairs and Fisheries. “If we don’t address the reasons behind this decline in wild bees, and act urgently to stop it, we could pay a very heavy price indeed,” he added. Knowledge about wild bees in Europe is “incomplete, as we are faced with an alarming lack of expertise and resources,” says Jean-Christophe Vié, deputy director of the IUCN Global Species Programme. “Bees play an essential role in the pollination of our crops. We must urgently invest in further research in order to provide the best possible recommendations on how to reverse their decline,” he said. 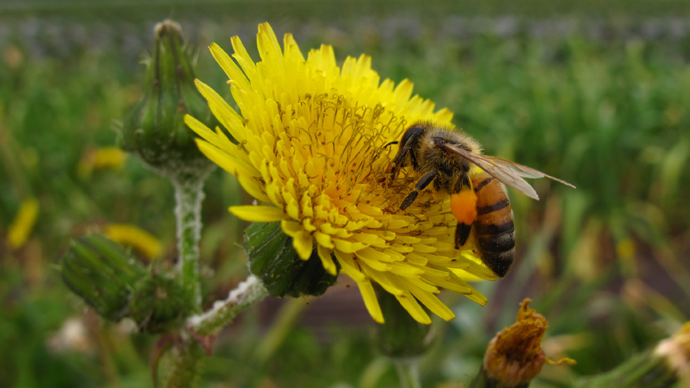 According to the report, every year bees provide crop pollination worth €153 billion globally and €22 billion in Europe.